8140 Greenly Dr Oakland, CA. | MLS# 462304 | Andrew de Vries, Probate Real Estate, San Francisco Probate Real Estate, Oakland Probate Real Estate, Berkeley Probate Real Estate, Alameda Probate Real Estate, Lafayette, Contra Costa Probate Real Estate, Probate realtor, Probate agent, Probate Broker. Rare opportunity to purchase a Vintage 3BD/1.5BA+ Melrose Highlands Cottage & make it your own. 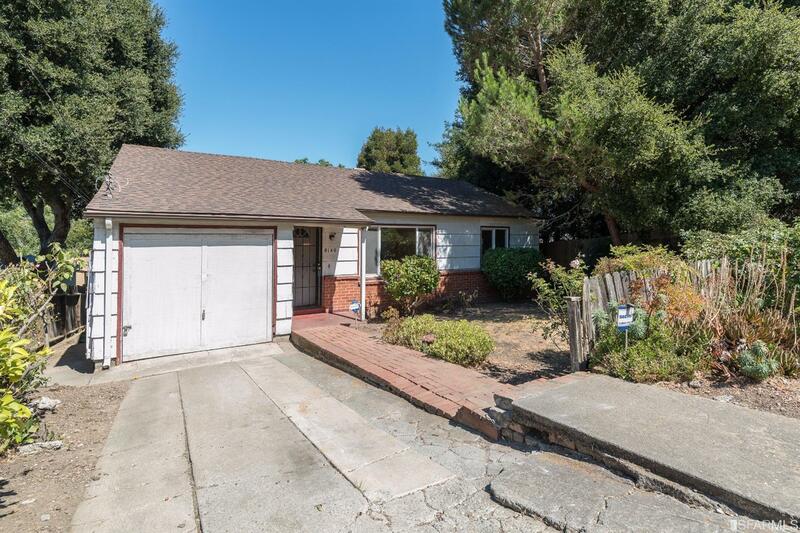 This 1940s home, which has been in the same family for 40+ years, is located at the end of a quiet Cul-de-Sac that adjoins King Estates Open Space Park, offering inhabitants (and their pets) instant access to hiking/walking trails & room to run & play! The home boasts a FLR, large eat-in kitchen with dining area, 3 ample BDs & 1.5BAs up. Bonus basement rooms and 1/2BA down (likely unwarranted). The lot offers privacy & room to garden and entertain. Good central location w/EZ 580/13 frwy access & close proximity to Montclair, Laurel, Fruitvale BART, San Leandro, Downtown Oakland & SF. Home may be larger than tax records show & needs TLC to shine!